Asia Society presents the first part of a world premiere performance by percussionist and composer Susie Ibarra, featuring dancer and choreographer Souleymane Badolo and instrumentalists from the DreamTime Ensemble. A discussion with Shaina NC, Jayant Chaudhary, Milind Deora, Praful Patel and Priya Sahgal on the future of India’s political landscape and the emergence of a new generation of leaders. Participants in a panel discussion explore the rise of alternate media houses in India. A discussion on the use of data and social media in election campaigns, data protection as a regulatory measure, and tackling fake news. Asia Society Northern California and Berkeley Center for Law and Technology present a discussion with Dr. Amit Kapoor, Ms. Hemal Shah, Dr. Kirti Gupta, Prof. Mark Cohen, and Dr, Kenneth Fong. A discussion on gender disparities in South Korea and Japan with NPR's Elise Hu. The performance was part of Asia Society Mumbai's program Sense and Sensibility: Culture and the Conduct of Life. A discussion on the independence of institutions with Yashwant Sinha, Kumar Ketkar, M Damodaran, and Chintan Chandrachud, moderated by Rama Bijapurkar. A TEQ series video filmed at North Carolina’s Union County Public Schools, a member of Asia Society's nationwide school network. Composer Huang Ruo and librettist Bao-Long Chu discuss the chamber opera 'Bound,' inspired by a Texas honor roll student. Following the conversation, performers Fang Tao Jiang and Guang Yang sing excerpts from the work. 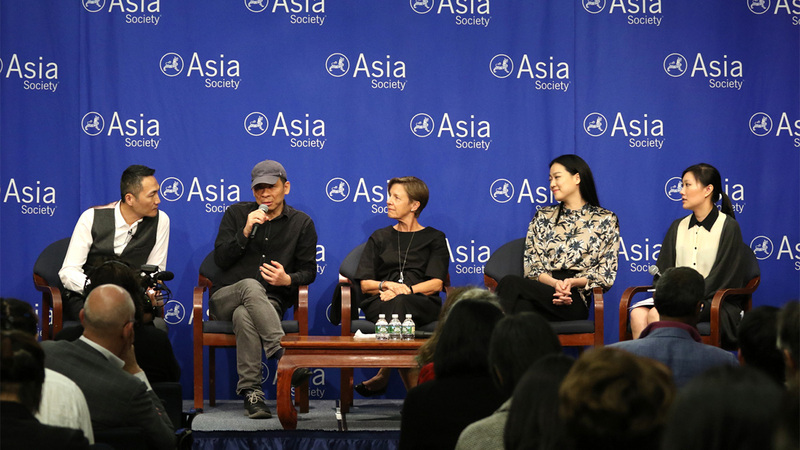 Experts discuss new ideas for regional security involving Australia, Japan, India, and the U.S.
A panel discussion featuring noted collectors of Indian art speaking on the role of passion, art appreciation, and aesthetics with regards to their private collections. Moderated by Asia Society Museum Director Boon Hui Tan.